Spitalfields Studios presents Iconicus Animarum - an exhibiton by Nelson Ferreira Korana Celan and Stasa Celan. Any conversation around Byzantium, music and art should take as its reference some of the strands that we are pulling together in 'Iconicus Animarum'. 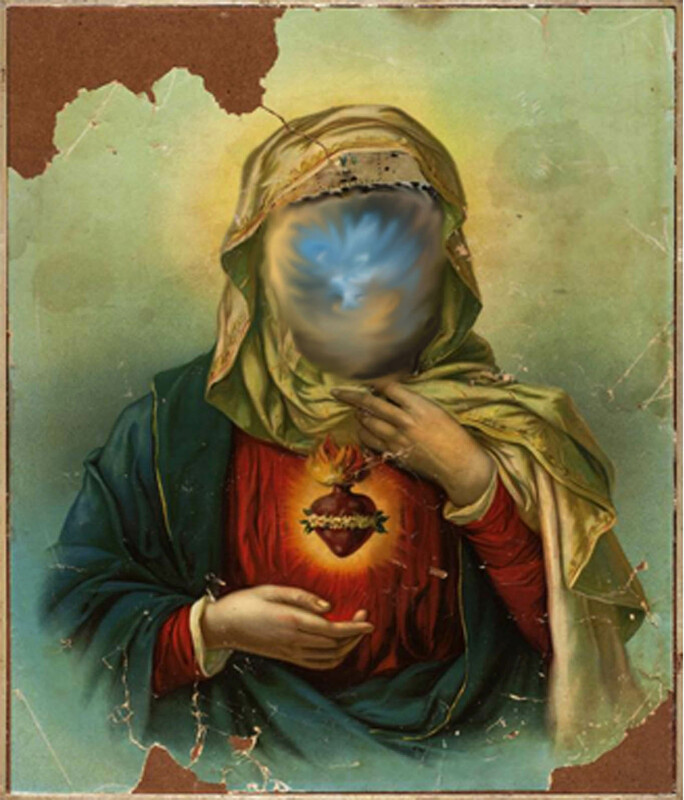 In this exhibition we introduce contemporary ways of thinking about iconography to the London public - teasing out the contrasts between its past and present and looking at the future of its expression in art. The trio of artists, Nelson Ferreira, Korana Celan and Stasa Celan, will display original iconography artifacts and show the power of Byzantine icons in their origins, symbolism and stories. Contemporary materials are mixed with historic cast metal objects, ivories and engraved gems. The central element of this exhibition will trace the stylistic development of sacred art from the center of Greek Christianity to its introduction to Russia. The show is a powerful cocktail of art installation, paintings and draws its literary inspiration from the atmosphere of Pushkin's poems. 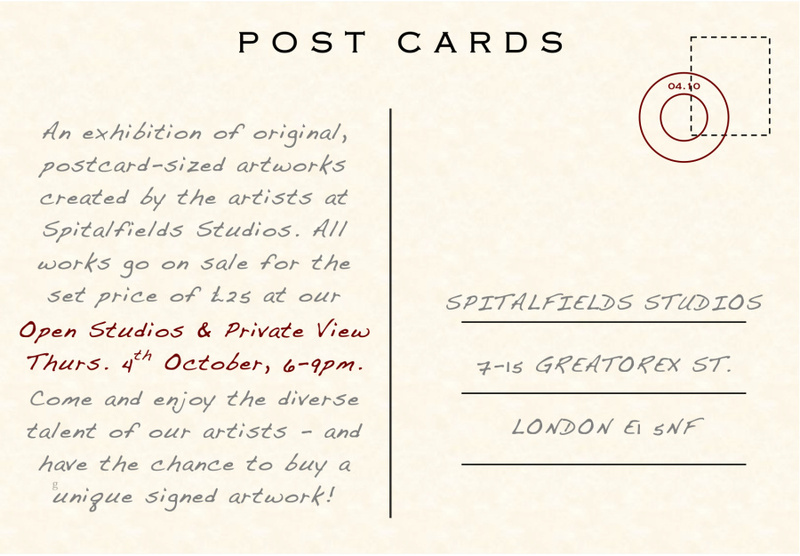 Spitalfields Studios presents ‘Postcards‘, Open Studios and Sale. An exhibiton of original postcards by the artists at Spitalfields Studios. These specially commisoned works go on sale at our Open Studios event where you can visit the artists and see their studios as well as viewing our current collection of works on display at our East London gallery space. Your chance to own an original signed artwork by one of these exciting artists. There will also be a performance by Wiyaala, the inspiration behind Paul Anderson's Sonic Boom artwork that is on show in our main exhibition space. 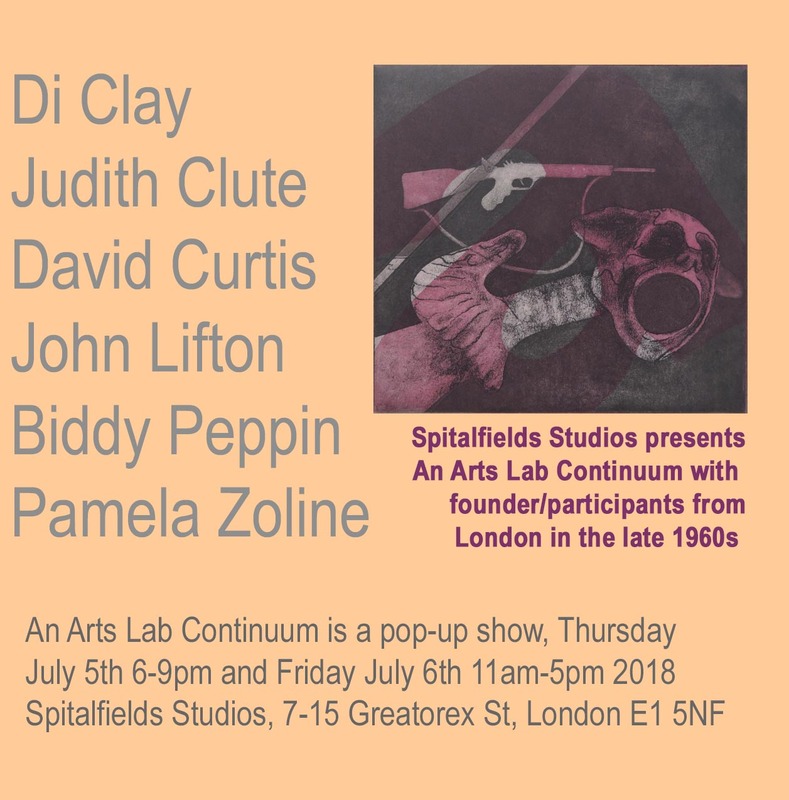 Spitalfields Studios presents ‘An Arts Lab Continuum‘, with founding participants from London in the late 1960s. In London in 1967, the first Arts Lab was launched. ‘An Arts Lab Continuum’ is a pop-up show that explores some of the ideas and radical intentions that inspired the Drury Lane Arts Lab, and its successor, the Robert Street New Arts Lab. The show includes assemblages, documentation, etchings, paintings, photographs, projections and more. The viewer will be able to trace personal dreams, see ripples of achievement, and engage in a discussion about anxieties and visions – a sense of urgency about a world gone wrong and of art’s ability to move us towards wholeness and new possibilities. Arts Labs made a space for a wider, sometimes wilder world of artists and audiences. We wanted to change the world and make a bit of headway. Are we still change makers? Is there a narrative that resonates today? 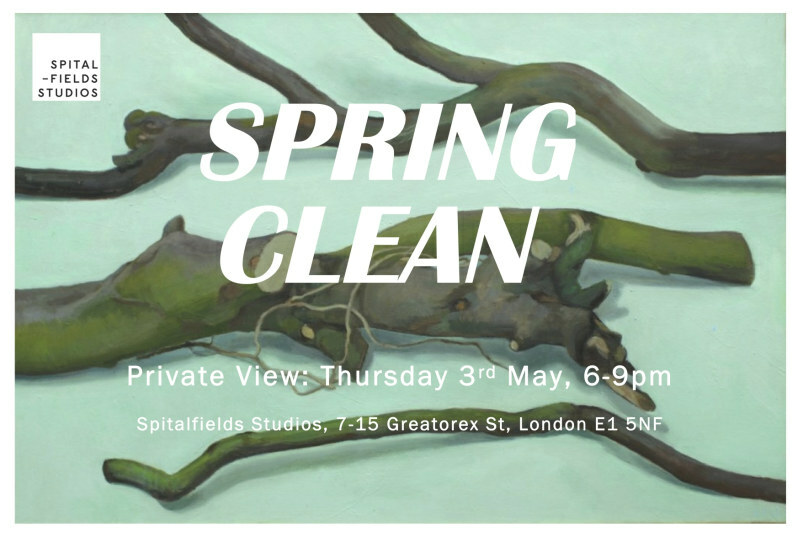 14 Spitalfields Studios artists are taking over their building, with a showcase of painting, printmaking, photography and installation. The opening night will feature several temporary installations, as well as live music, refreshments, and the opportunity to buy bespoke products from Spitalfields Studios makers, who are Drawn to Ink and Designs by Shell. This event is part of Whitechapel Gallery First Thursdays and is on the Whitechapel Gallery First Thusday's walking tour. Come along to our studio courtyard for an evening of art and celebration, hosted by the artist community at Spitalfields Studios. Our artists will be selling original prints, drawings, illustrations, works-on-paper, and handmade jewellery, available to buy at studio prices. 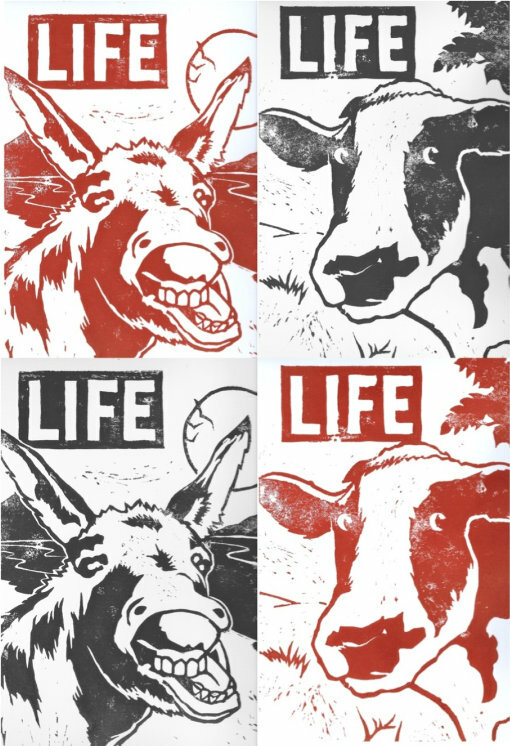 There will also be live music and live print-making demonstrations. Christopher Lane is a contemporary British painter, specialising in abstract and figurative techniques. Come and meet the artist and see him at work behind the scenes at his East London studio. There will be the opportunity to buy original artwork at studio prices, and refreshments will also be available. As the exhibition’s title indicates, the works on show are rooted in the tradition of seeing and taking note. At first sight there seems to be little in common between Biddy Peppin’s representational approach and Angela Allen’s structural abstraction. 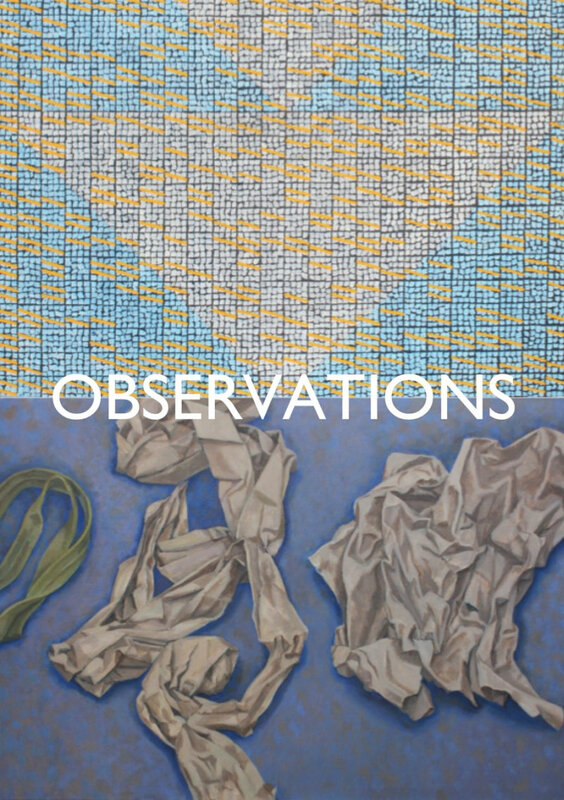 But by juxtaposing their apparently dissimilar works, they hope to generate a dialogue about ways in which observation can serve the artist. 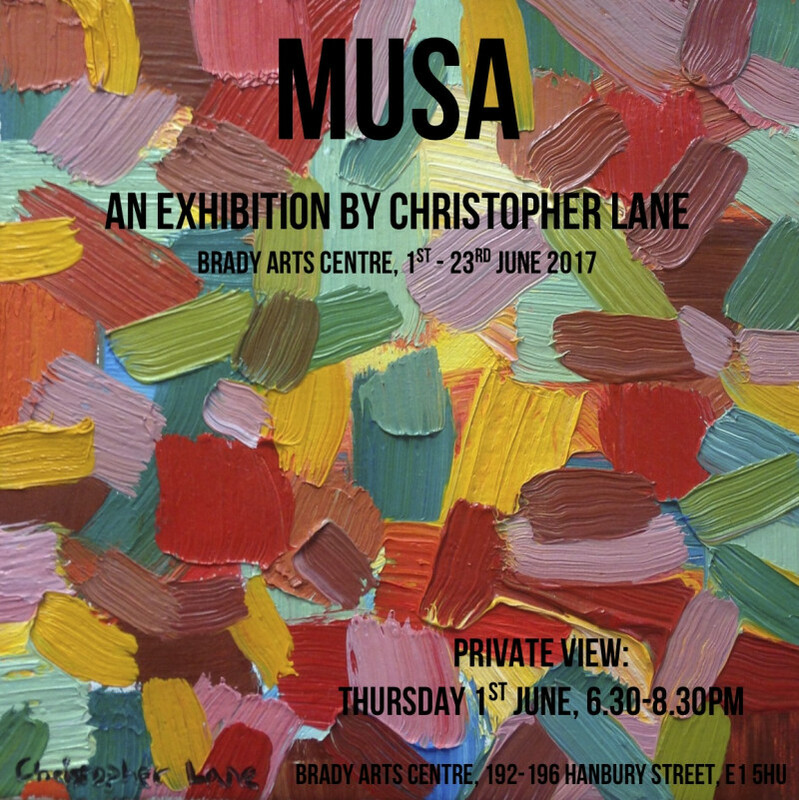 Brady Arts Centre, Hanbury Street, E1 5HU, a short walk from our studios. 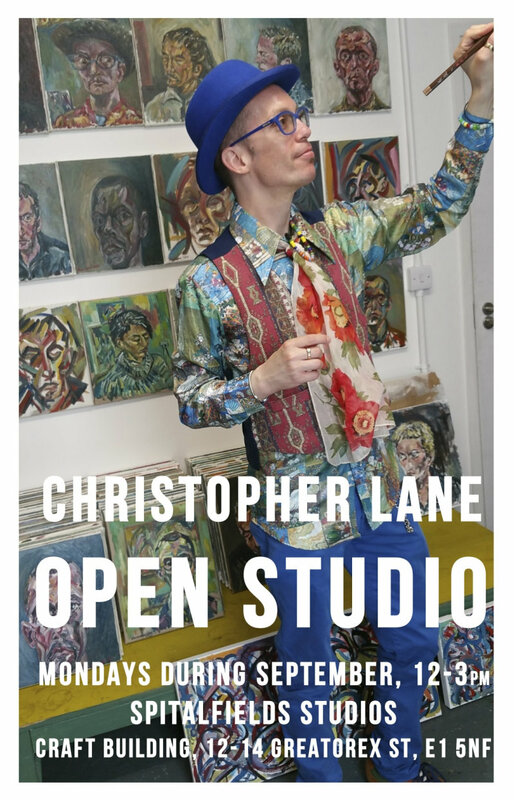 A solo-exhibition from Spitalfields Studios artist, Christopher Lane. For more information about the exibition visit MUSA. 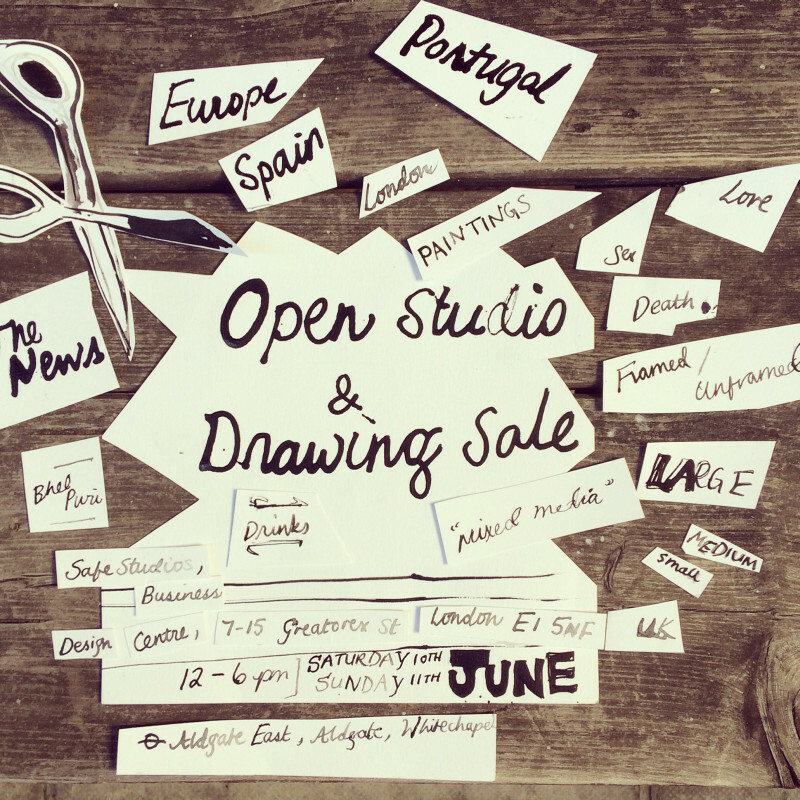 Katie Horwich and other Spitalfields Studios artists are hosting an open studio and drawing sale in our courtyard. Drinks and refreshments provided, come and buy some art!